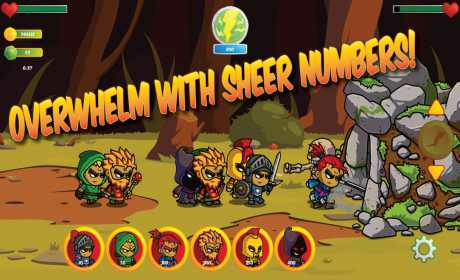 They have giant bugs, goblins, and massive golems… But you have numbers on your side! 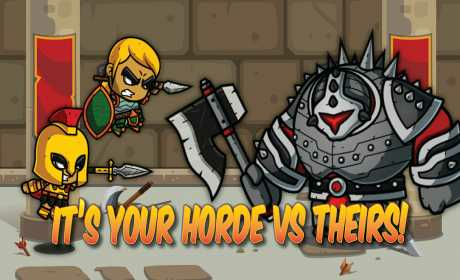 Upgrade your army and put them into the fray in this fast-paced tower defense game. How fast you can create your units depends on your skills as a leader! Summon your units and overwhelm the enemy! * 100 levels of frantic game play! Q: Is there a way to manually scroll the battlefield? A: There sure is! Go to Options and click on “Tilt Scroll”. This will enable manual scrolling, which happens by tilting the device left or right slightly. Q: My turret is really weak! A: The turret starts out being able to deal with level 1 through 5 enemies if they get too close to your fort. Beyond that, you have to upgrade it’s functionality. Upgrading the type of turret on the Upgrade screen will give a flat damage increase and change the type of projectile it shoots. You can also increase its range, damage, and distance. When maxed out, your turret becomes a very effective weapon indeed! Q: I don’t have enough gold to continue! A: Try playing levels you’ve already beat. 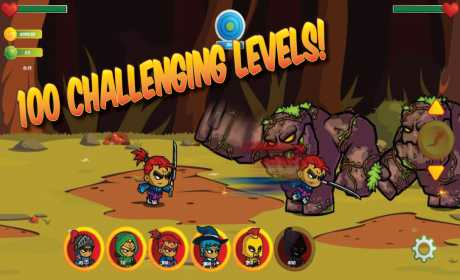 You won’t get the level complete bonus, but you will get gold for every enemy you beat, depending on their toughness! Q: How does mana work? A: Mana starts with a maximum of 50 and a slow recharge rate. Clicking on the icon when your mana is at maximum will consume the mana and double both of these properties 3 times per battle. This will also give your units a speed boost for 20 seconds (this happens any number of times per battle). Upgrading maximum mana will also increase recharge rate, or you can increase recharge rate independently. To add to this: defeating enemies gives you a bit of mana proportional to their health, so keep this in mind before you summon units!